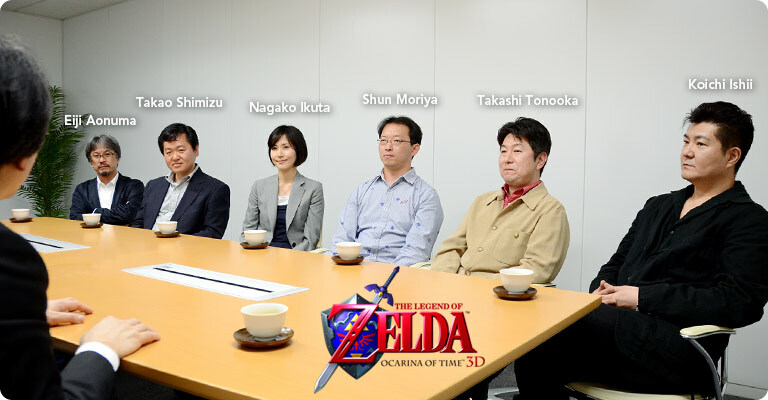 The latest Iwata Asks interview for Ocarina of Time 3D is now up, and this time it features the team from Grezzo! They talk about how they handled recreating the classic Zelda title for the 3DS, including implementing the 3D, how to remain faithful to the original while still making it a new experience, as well as a neat little tidbit: while some glitches were purged since they were harmful to gameplay, others were preserved and fine-tuned so that they work more like intended features! Though I’m not a glitching man myself, it’s good to see that preserving the original was so important that even the glitches remained! Moriya: Yes. One of our staff members really loves The Legend of Zelda: Ocarina of Time. He has in his head an idealized borderline. Making the game today at any level beneath that borderline is unimaginable to him. But if you focus on that too much, the overall balance would suffer and cooler heads would feel like the game had changed too much, so the team’s approach see-sawed back and forth. Iwata: How did you handle such differing approaches? Iwata: Yes, that is an area of conflict. Iwata: So you implemented them as you would specs, rather than treating them like bugs. It took some work and you had to go out of your way, but you preserved the spirit of the original. Moriya: Yes. If something simply could not be allowed to stand, we begrudgingly fixed it, so some bugs don’t appear, but we left in as many as we could, so people will grin over that. GoNintendo also lovingly furnished an awesome overview of all the neat details covered in the interview. Stuff I find interesting will appear in bold. when updating the game, Grezzo ran into a problem with the new character model for Link. They found that rolling on the ground with a lit stick no longer set the spiderweb on fire. This had something to do with the distance and angle of the stick to the web itself. This problem had to be fixed. It turns out that both Aonuma and Miyamoto wanted this, but Miyamoto requested it for Aonuma. They were working together! What’s your favorite detail from the interview, and what did you find the most interesting or surprising? Leave us a comment and let us know!